Hi everyone and welcome to the Your Paella Blog. As you can see we don’t just blog about Your Paella! 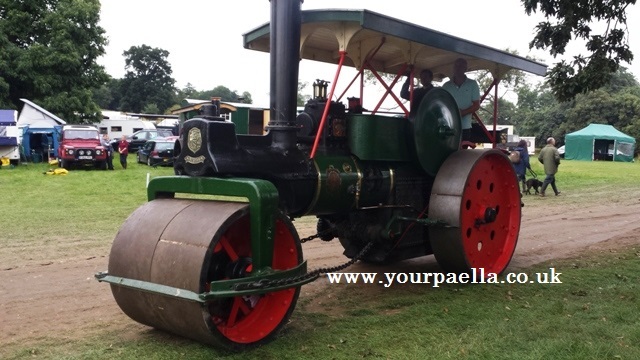 As a mobile Paella catering company we attend many public events and shows, one of the really good shows is Bedfordshire Steam Rally that’s held in a beautiful setting at Old Warden, Bedfordshire. 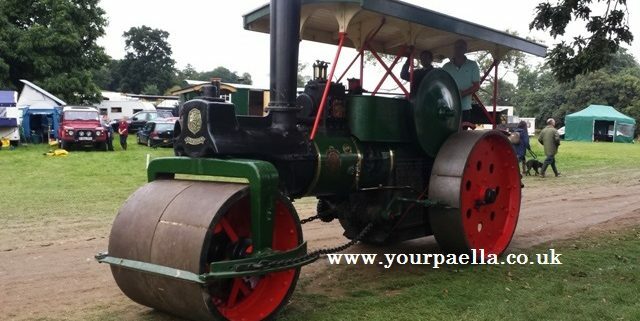 They have so many fantastic steam engines and not only can you look at them all lined up but they actually drive them all around the show! Its a fantastic day out, or even a weekend if your a real enthusiast. Below you will find some images we took in between serving Your Paella. I hope you enjoy looking at them as much as we did taken them. Just click on the image to view full size. Paella Chef. Overland Adventure Show 2013 Stratford Upon Avon.